In testimony before the Senate, Comptroller General Gene L. Dodaro said the two government agencies have been successful in implementing plans to address the potential gaps. Dodaro’s testified about a GAO report that detailed high-risk areas across the government. 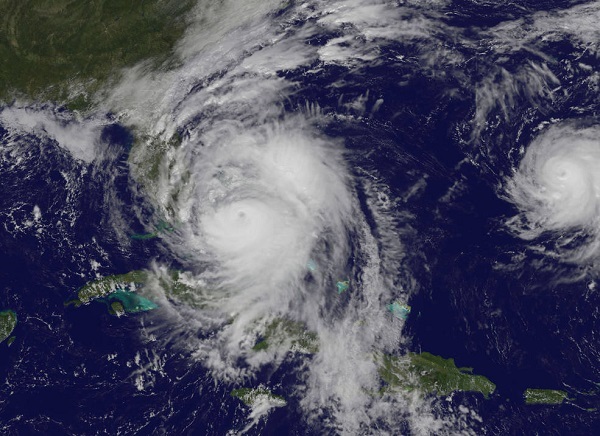 GAO placed the weather programs on the High-Risk List in 2013 following the failure of the joint NOAA-DOD National Polar-orbiting Operational Environmental Satellite System (NPOESS). The agencies pursued separate programs after the Obama Administration canceled NPOESS one due to years of cost overruns and delays. Dodaro also said the Defense Department has also made substantial progress in mitigating possible weather gaps. “DOD…has developed plans and taken actions to address gaps in weather data through its plans to launch the Weather System Follow-on–Microwave satellite in 2022,” the testimony said. “The department also plans to launch the Electro-Optical/Infrared Weather Systems satellite in 2024 and provide interim capabilities beginning as early as 2022. “The Air Force and NOAA are now developing plans to relocate a residual NOAA satellite over the Indian Ocean, an area of concern for cloud characterization and area-specific weather imagery coverage,” the testimony added. Excerpts from Dodaro’s testimony follow. We are removing this high-risk area because—with strong congressional support and oversight—the National Oceanic and Atmospheric Administration (NOAA) and the Department of Defense (DOD) have made significant progress in establishing and implementing plans to mitigate potential gaps in weather satellite data. The United States relies on two satellite systems for weather forecasts and observations: (1) polar-orbiting satellites that provide a global perspective every morning and afternoon and (2) geostationary satellites that maintain a fixed view of the nation. NOAA is responsible for the polar satellite program that crosses the equator in the afternoon and for the geostationary satellite program. DOD is responsible for the polar satellite program that crosses the equator in the early morning orbit. These agencies are planning or executing major satellite acquisition programs to replace existing polar and geostationary satellites that are nearing the end of, or are beyond, their expected life spans. A gap in satellite data would result in less accurate and timely weather forecasts and warnings of extreme events—such as hurricanes and floods. Given the criticality of satellite data to weather forecasts, the likelihood of significant gaps in weather satellite data, and the potential impact of such gaps on the health and safety of the U.S. population and economy, we concluded that the potential gap in weather satellite data was a high-risk area and added it to the High-Risk List in 2013. More recently, in recognition of NOAA’s progress, we removed the geostationary satellite segment from the high-risk area in 2017. In our 2017 High-Risk Report, we reported that NOAA had fully implemented criteria associated with demonstrating leadership commitment, having the needed capacity to address risks, and monitoring progress. We also reported that NOAA had partially implemented the criteria for establishing an action plan and demonstrating progress. In addition, our 2017 report noted DOD’s slow progress in establishing plans for its follow-on weather satellite program and for determining how it would fulfill other weather requirements in the early morning orbit. Since that time, (1) NOAA has fully implemented actions in response to the remaining two criteria that had previously been partially implemented and (2) DOD, pursuant to statutes and accompanying congressional direction, established and began implementing plans both for its follow-on weather satellite program and for addressing the key requirements that were not included in that satellite program. Consequently, we are removing the need to mitigate gaps in weather satellite data from our High-Risk List. Since our last high-risk update in 2017, NOAA continues to meet the criteria of leadership commitment, capacity, and monitoring and now also meets the criteria of action plan and demonstrated progress. Leadership commitment: met. NOAA program officials met the leadership commitment criteria in 2015 and have continued to sustain their strong leadership commitment to mitigating potential satellite data gaps since that time. For example, NOAA issued and frequently updated its polar satellite gap mitigation plan, which identifies the specific technical, programmatic, and management steps the agency is taking to ensure that satellite mitigation options are viable. In addition, NOAA executives continue to oversee the acquisition of polar-orbiting satellites through monthly briefings on the cost, schedule, and risks affecting the satellites’ development. Capacity: met. NOAA continues to meet the criterion of improving its capacity to address the risk of a satellite data gap. In December 2014, we recommended that NOAA investigate ways to prioritize the gap mitigation projects with the greatest potential benefit to weather forecasting, such as by improving its high-performance computing capacity. NOAA agreed with this recommendation and implemented it. For example, NOAA upgraded its high-performance computers, which allowed the agency to move forward on multiple other mitigation activities, including experimenting with other data sources and assimilating these data into its weather models. Action plan: met. NOAA now meets the criterion for having a plan to address the risk of a polar satellite data gap, which is an increase over its rating in 2017. In June 2012, we reported that, while NOAA officials communicated publicly and often about the risk of a polar satellite data gap, the agency had not established plans to mitigate the gap. We recommended that NOAA establish a gap mitigation plan, and the agency did so in February 2014. However, in December 2014, we recommended that NOAA revise its plan to address shortfalls, including (1) adding recovery time objectives for key products, (2) identifying opportunities for accelerating the calibration and validation of satellite data products, (3) providing an assessment of available alternatives based on their costs and impacts, and (4) establishing a schedule with meaningful timelines and linkages among mitigation activities. The agency agreed with the recommendation and subsequently addressed it. Specifically, NOAA issued three updates to its gap mitigation plan between January 2016 and February 2017. With the last of the updates, the agency addressed the shortfalls we had identified. Monitoring: met. NOAA met this criterion in 2017, and continues to meet it now, by implementing our recommendations to more consistently and comprehensively monitor its progress on gap mitigation activities. For example, all three NOAA organizations responsible for gap mitigation projects regularly brief senior management on their progress. Demonstrated progress: met. NOAA now meets the criterion for demonstrated progress, which is an increase over its prior rating. In our 2017 High-Risk Report, we noted that NOAA had identified 35 different gap mitigation projects and was making progress in implementing them. These projects fell into three general categories: (1) understanding the likelihood and impact of a gap, (2) reducing the likelihood of a gap, and (3) reducing the impact of a gap. Nevertheless, one of the most important steps in reducing the likelihood of a gap—keeping the launch of the next polar satellite on schedule—had encountered problems. Specifically, agency officials decided to delay the launch due to challenges in developing the ground system and a critical instrument on the spacecraft. This delay exacerbated the probability of a satellite data gap. More recently, however, NOAA was able to demonstrate progress by successfully launching the satellite in November 2017. That satellite, now called NOAA-20, is currently operational and is being used to provide advanced weather data and forecasts. Moreover, the agency is also working to build and launch the next satellites in the polar satellite program. Since our last high-risk update in 2017, DOD now meets all five high-risk criteria. Leadership commitment: met. With strong congressional oversight, DOD now meets this criterion. Pursuant to enactment of the Carl Levin and Howard P. ’Buck’ McKeon National Defense Authorization Act for Fiscal Year 2015 (NDAA for FY 2015), the National Defense Authorization Act for Fiscal Year 2016 (NDAA for FY 2016), and the Consolidated Appropriations Act, 2016, DOD leadership committed to developing and implementing plans to address its weather satellite requirements. For example, in late 2017, the department awarded a contract for its Weather System Follow-on—Microwave satellite to fulfill core weather requirements. Capacity: met. With strong congressional oversight, DOD now meets the capacity criterion. Specifically, the NDAA for FY 2015 restricted the availability of 50 percent of the FY 2015 funds authorized for the Weather Satellite Follow-on System (now called the Weather System Follow-on—Microwave satellite program) until DOD submitted to the congressional defense committees a plan to meet weather monitoring data collection requirements. In addition, the explanatory statement that accompanied the Consolidated Appropriations Act, 2016, recommended that the Air Force focus on ensuring that the next generation of weather satellites meet the full spectrum of requirements and work with civil stakeholders to leverage appropriate civil or international weather assets. As called for in the law and the explanatory statement, DOD established plans to meet weather monitoring data collection needs, including by acquiring satellites as part of a family of systems to replace its aging legacy weather satellites. Additionally, DOD formally coordinated with NOAA on weather monitoring data collection efforts. In January 2017, the Air Force and NOAA signed a memorandum of agreement, and in November 2017, signed an annex to that agreement, to allow for the exchange of information and collaboration on a plan for collecting weather monitoring data. The Air Force and NOAA are now developing plans to relocate a residual NOAA satellite over the Indian Ocean, an area of concern for cloud characterization and area-specific weather imagery coverage. Action plan: met. In our 2017 High-Risk Report, we reported that DOD was slow to establish plans for its Weather System Follow-on–Microwave program and had made little progress in determining how it would meet weather satellite requirements for cloud characterization and area-specific weather imagery. Pursuant to the NDAA for FY 2015, the NDAA for FY 2016, and the explanatory statement that accompanied the Consolidated Appropriations Act, 2016, the department developed and began implementing plans to address its weather satellite requirements. As mentioned above, in late 2017, the department awarded a contract for its Weather System Follow-on–Microwave satellite to fulfill core weather requirements. Under this program, the department may launch a demonstration satellite in 2021 and plans to launch an operational satellite in 2022. DOD also developed plans for providing its two highest-priority capabilities—cloud characterization and area-specific weather imagery data collection—that will not be covered by the Weather System Follow-on–Microwave satellite program. The department is planning a longer-term solution, called the Electro-Optical/Infrared Weather Systems program, to meet these needs, with a planned satellite launch in 2024. Meanwhile, DOD is in the process of acquiring a small prototype satellite, called the Operationally Responsive Space-8 satellite, to provide interim capabilities. DOD plans to launch Operationally Responsive Space-8 as early as 2022. Monitoring: met. DOD now meets the monitoring criterion as evidenced by its actions to initiate a major acquisition program, the Weather System Follow-on–Microwave, and award a contract for the first satellite. In addition, program officials stated that they plan to monitor the program’s progress toward addressing critical needs and assess its operations and sustainment costs. Demonstrated progress: met. DOD now meets the demonstrated progress criterion because it has developed plans and taken actions to address gaps in weather data through its plans to launch the Weather System Follow-on–Microwave satellite in 2022. The department also plans to launch the Electro-Optical/Infrared Weather Systems satellite in 2024 and provide interim capabilities beginning as early as 2022. By developing these plans, DOD has reduced the risk of a gap in weather satellite data and addressed the concerns about a lack of planning that we identified in our 2017 High-Risk Report. DOD’s effective implementation of its plans will be key to further reducing the risks of gaps in weather satellite data in the future. Moving forward, we will continue to monitor both NOAA and DOD efforts to develop and launch the next satellites in their respective weather satellite programs. NOAA plans to launch its next geostationary weather satellite in 2021 and to launch its next polar weather satellite in 2022. DOD plans satellite launches in 2021 (potentially), 2022, and 2024. In addition, we will continue to monitor DOD’s efforts to develop long-term plans to meet its weather satellite requirements.